There is nothing more frustrating for a business than losing out on a potential client, because they didn't know you where open. 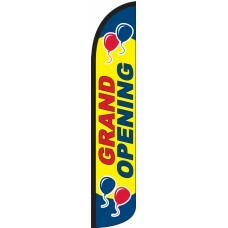 Our eye-catching Wind Free Feather flags, solve this issue, offering a stylish and attractive advertisement, which tells your customers that you are open and ready for business. 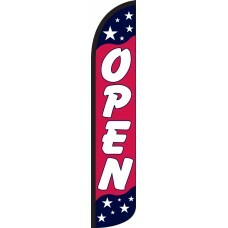 These flags can be used across many different industries, but are especially relevant to businesses serve retail customers. 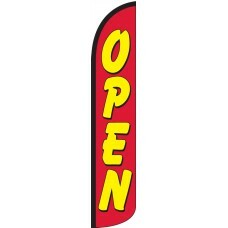 Retail business rely on pulling passerby's into their showrooms. 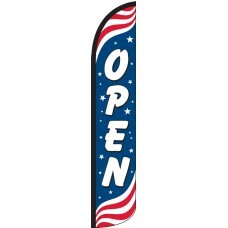 They can also be used in other applications, such as at trade shows, concerts, sporting events, and any other instance whereby a business seeks to inform customers that they are open for business. 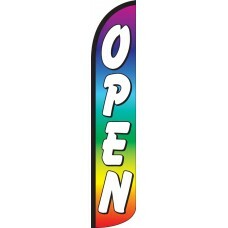 Feather flags such as these enhance the overall appearance of your business. 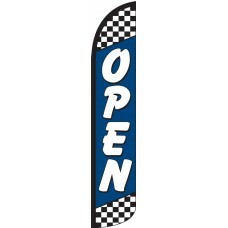 This, along with their cost-effective price means that using our wind free feather flags is a no-brainer, so check out our amazing range of open flags below and take your marketing to the next level!